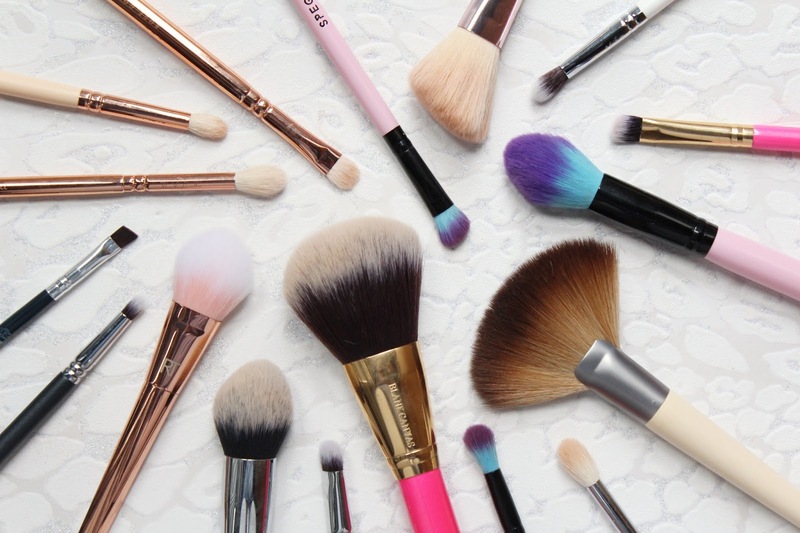 Makeup brushes are always something worth investing in as if you buy good quality brushes, they will last you a lifetime! 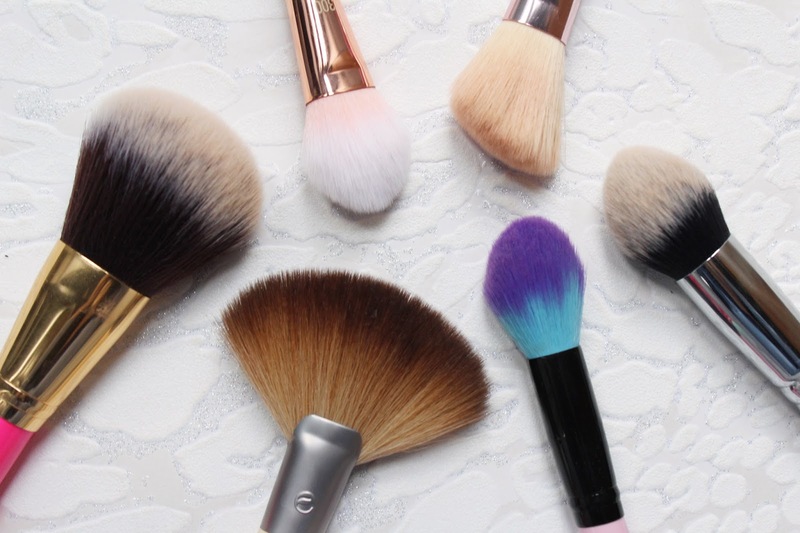 These are my favourite makeup brushes from a few different brands and never fail me, some are pretty affordable too which I like as I am always looking for a good deal! When it comes to face brushes, I only have a few must haves that I use every day as I mainly use a Beauty Blender, you can't beat a sponge when it comes to foundation and concealer applications! One of my favourite brush brands at the moment is Blank Canvas, I have been using so many for my eyes from them too! 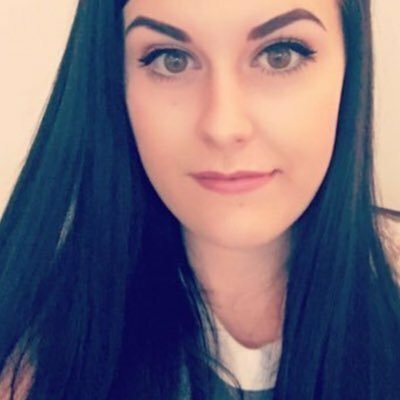 The F34 has been my go to brush for applying bronzer as it is on the bigger side and is super fluffy! For blush, any angled brush is a must have for me as they make it so easy to apply any powder brushes to the cheeks, the one I have been using at the moment is from Iconic London which was part of a set. For highlighting with my Jeffree Star highlighters, the Real Techniques 300 Tapered Brush as it picks up the powder the best out of any brush I have used before. I also love fan brushes and I love the new one from EcoTools but Zoeva also make some lovely fan brushes too! For setting my under eyes, I love my Zoeva 135 Petit Face Definer and a Spectrum Brush that I got from a birch box. Both of these brushes are tapered which is great as they fit perfectly under the eyes. When it comes to eyes, I like to have options depending on the look I am wanting to do that day. For applying shadows to the lids, I like to use either the Zoeva 234 Luxe Smoky Shadow, Nanshy Larger Shader or the Blank Canvas E04. 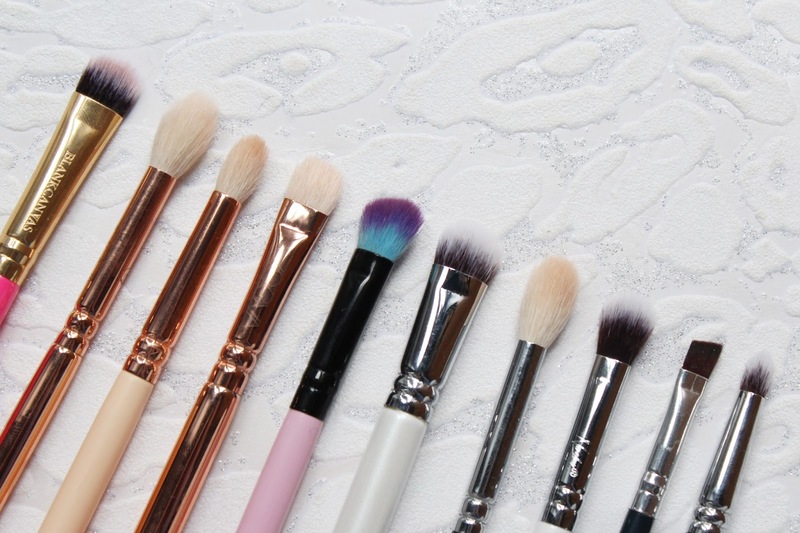 These three brushes to do an incredible job of packing on colour and blending where needed. The Zoeva brush is perfect for applying shadows to the inner section of the lid and I then like use the Nanshy brush for the outer lid. For the crease, my favourites at the moment are the Zoeva 231 Luxe Petit Crease, Spectrum B04, Zoeva 228 Luxe Crease, Nanshy Tapered Crease and Nanshy Blending Brush. The 231 from Zoeva is my go to crease brush as it makes any shadow easy to apply and blend. I like to use the Spectrum B04 brush to apply shadows to the outer crease, usually with a slightly darker shade. The Nanshy Blending Brush is my favourite brush to apply transition shades and for making sure all of my eyeshadows are blended seamlessly. I have been using many of these brushes for months, if not years and I have washed them so many times I have lost count! All of the brushes hold their shape well and haven't shed at all. Each of them is super soft too, I can't stand brushes that scratch the skin!